SSC Result 2019 Comilla Board can check from here. Hi guys, welcome back here to get the SSC Full Mark Sheet of Comilla Education Board, Bangladesh. Most of the SSC Examine can’t check their Result through Online. They can follow the alternative process to get their Result fast. People who want to check Result by Internet Website, They can get a clear concept about the Result Check system. Let’s follow the step by step guides from the below. We have added Comilla Board SSC Result Check Online System and Mobile SMS System. You can follow anyone or both processes. This the common question asked by the Examine or Guardians on too many times. If you also ask the question about the Comilla Board SSC Result 2019, this part of this post will help you. You will get your SSC result 2019 under the Comilla Education Board easily. The All board SSC Exam result and the Equivalent Results are selected and Announced by the Ministry of Education, Bangladesh. This Year SSC Result will publish within the 19 July 2019. Probably, the SSC Result 2019 will publish on 19 July 2019. But, we don’t sure about this. If we get any update news, we will inform you shortly. Just follow us on Facebook and get the latest updates shortly. There are many students join the SSC Exam 2019. It is the biggest Public Exam in Bangladesh. 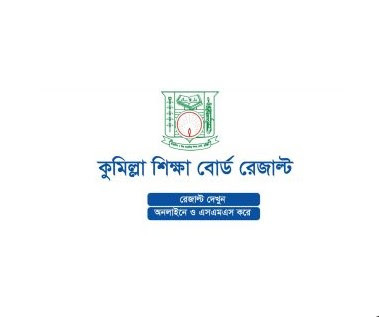 The Comilla Board SSC Examinee can check their SSC Result 2019 from the Education Board Bangladesh Official Website. Official Website means official Result Portal. The Process of collecting the Result is available for the All Board SSC examinee. They can get their Result easily from www.educationboardresults.gov.bd. After visiting the site, select the Examination Name. Your Examination name is SSC/JDC. Then Select your Education Board Name (Comilla) and Passing Year (2019). Then, type your SSC Roll Number and Registration Number. Finally, type the Math Answer and click on the Submit button. Now, send the message to 16222. You will be charge BDT 2.44 as the SMS charge. The amount will be charged directly from your main Account balance. Emergency Account Balance won’t be charged for this service. You will receive your Result shortly. The Result is powered by Teletalk. This is the last part of this post about Comilla Board SSC Result 2019. We hope that, as our valuable visitor, you have checked your SSC Result successfully. You can ask any question any times. Just use our Contact us form or comment box to get the Result related solution. We have a lot of Specialists who will investigate your issue.